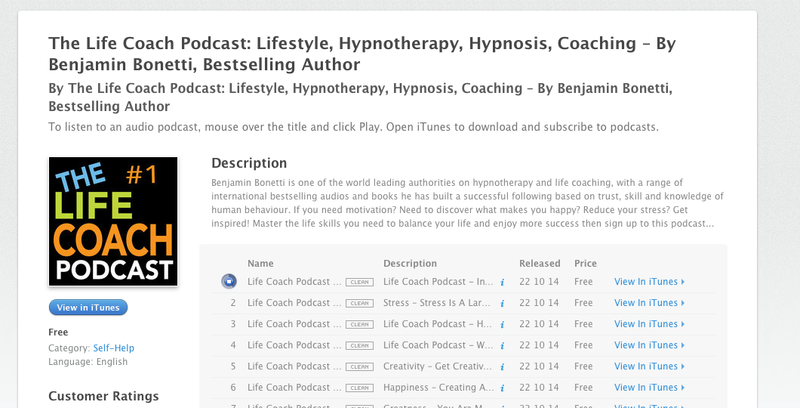 Benjamin Bonetti is one of the world leading authorities on hypnotherapy and life coaching, with a range of international bestselling audios and books he has built a successful following based on trust, skill and knowledge of human behaviour. Although generally seen working with Celebrities, Government Officials, Olympic Athletes, Sports Personalities, Military, Police and a number high profile companies – Benjamin is regularly available for personal one-to-one sessions in London, New York, Paris, Dubai, Berlin, Geneva and Los-Angeles. Relationships – What’s Your Relationship Life Like? Perfect. By A. Cresswell “Bubblefish777″ Very good. Lots of easily digestible comments, tasks, thoughts, Well laid out. Easy to read. Not a big hefty tome of complex pschology. More of an easy going and simple explanation of a few things that seem to make a lot of sense. Fairly short and done in a couple of days. However that’s probably better than wading through loads of heavy text.